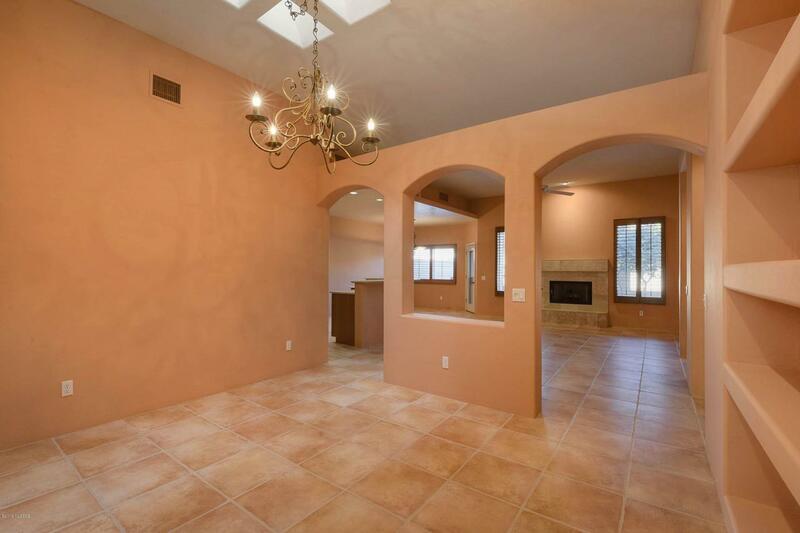 Patio home located in the desired gated community of Vistoso Hills. 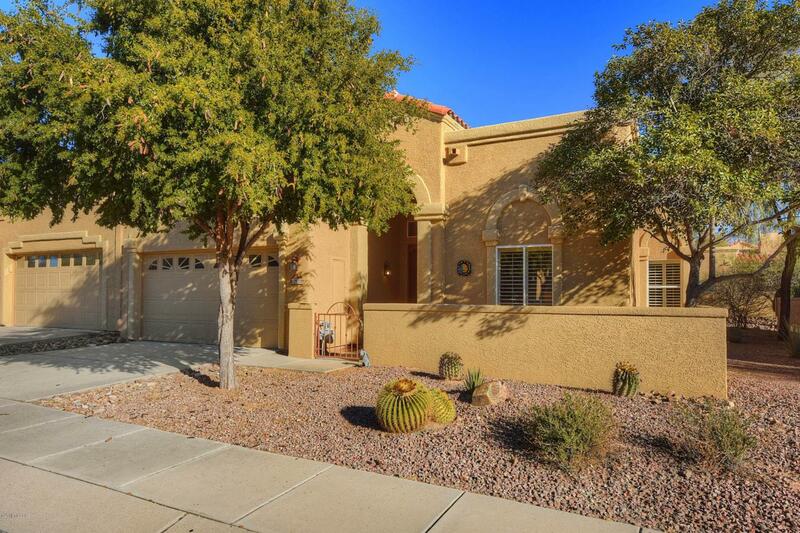 Immaculately cleaned, this 2Bd/2.5 BA/ and large extra room (bed or den but no closet) 2164 s/f home offers you an open floor concept, with tile floors throughout. 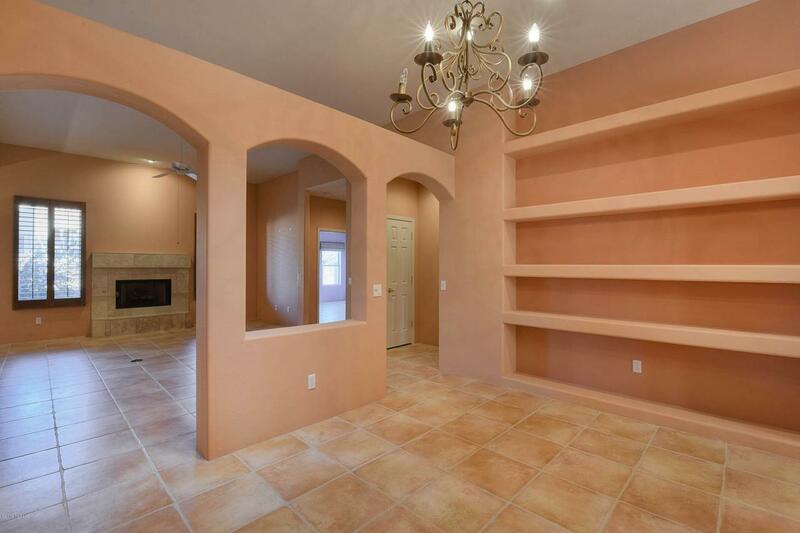 Gas F/P in great room, plantation shutters, fans in every room, and the kitchen has gas SS appliances. Large master BD also offers his/hers separate closets, dual vanities and walk in shower. Guest rooms have Jack & Jill BA with shower and tub. 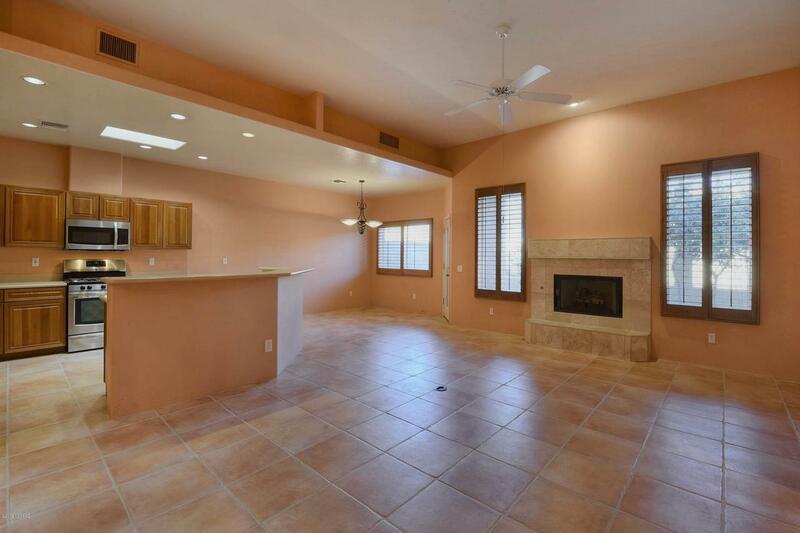 Outside patio has built in gas BBQ and views of the Catalina Mountains. the list goes on and on! The community has a pool, spa and clubhouse. Come see this house first!! You will be glad you did!